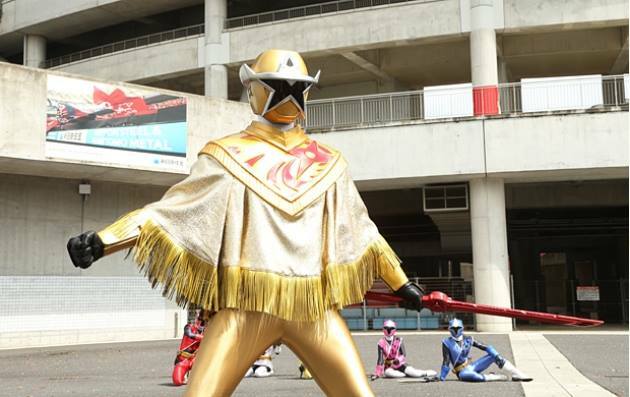 Tokunation › Super Sentai › Shuriken Sentai Ninninger Upgrade Revealed- Super StarNinger! 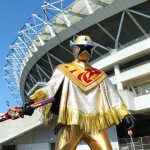 Say hello to SUPER StarNinger! Really?! Not liking it. 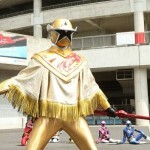 I've liked a majority of Ninningers designs both suits, mechs, and Yokai but this is really lazy and bad. 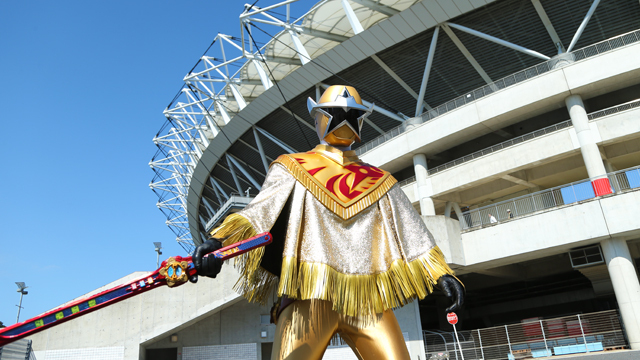 I mean, argh, he's wearing a poncho, has a recoloured Ninninger symbol and using a recoloured Ninja Ichibantou! I don't know if this is suppose to be his own personal equivalent of Chozetsu or something else but it's terrible. I like the gold and red on the poncho. I wish he had more red on him after seeing those two colors together. This honestly doesn't surprise me. His chest shield already had a hint of it. Can this show be over already.. That is just.. This show is horrible.